I've been gone for over a month! But I haven't been sitting idly by. Here is a blanket I finished up in January that I just hadn't gotten around to sharing with you. It's a giant granny square much like this one. I started it without a grand plan, just some yarn that I already had around from other projects. I hope you like it! Giant granny squares are so versatile. Plus they're quick and easy. They also lend themselves nicely to using up leftover yarn because the pattern possibilities are endless. I'm on a bit of a crochet hiatus at the moment. It's been busy around here! I've been cleaning, cleaning, cleaning. And after that, well, just getting rid of stuff! Just before things got busy, I started making a blanket comprised of small granny squares. I plan to post that in the coming months. 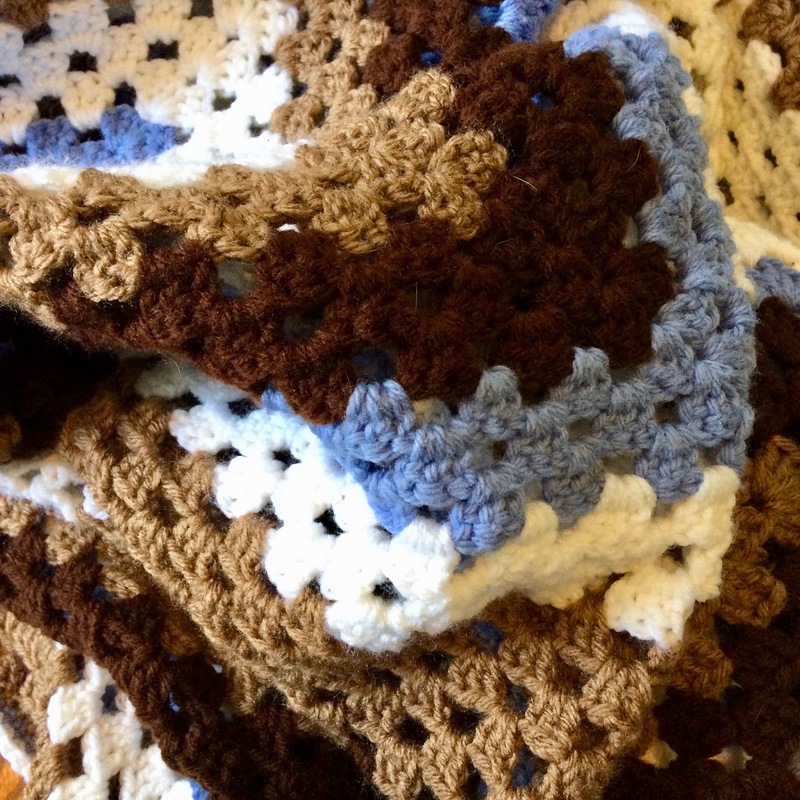 I have probably thirty granny squares worked up but I have yet to join them. I was going to use a continuous join, but I think I'm opting for the single crochet join. 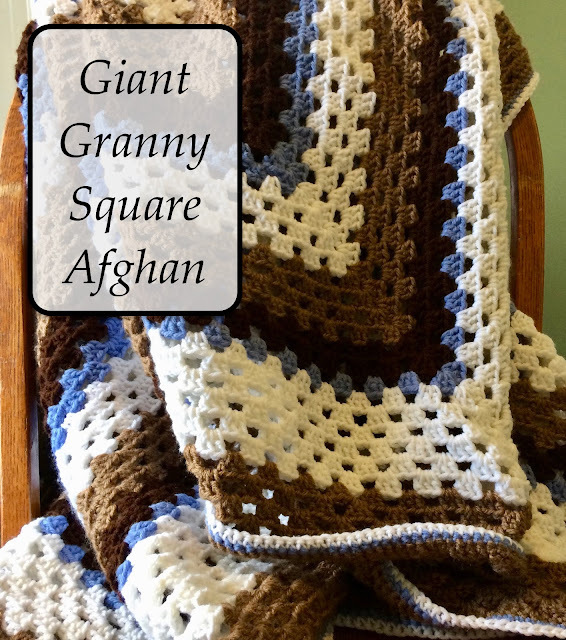 Do you have a favorite join for the classic granny square afghan? If you want to see things I'm doing regularly, join me on Instagram @homecookedandhandmade. Just type that in the search bar and you should see my page. Anyway, here's the pattern from my giant granny square blanket.